Little White Alice is a lovely location far enough away from everything but close enough to get to wherever you want to go. 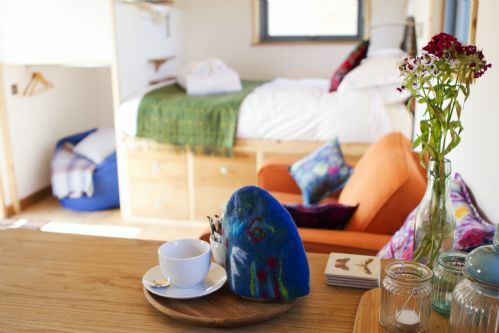 The eco lodges have everything you need for your stay - all the kitchen bits you need (including teapots and coffee pots), DVDs, books and even some amazing honey, cornish salt, bread and cornish butter. We had a little enclosed outdoor area surrounding our lodge with tables and chairs for outdoor dining and enough space inside the lodge for the three of us. 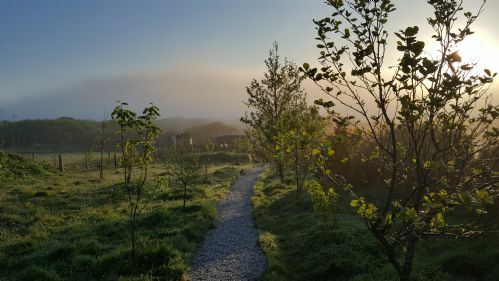 We had free reign of the farm and there are some nice walks around the farm if you want a gentle stroll and some longer walks if you want something a bit more energetic. Rosie and Simon are wonderful hosts, very friendly and were great with everyone. We had a lovely welcome when we arrived and both have super knowledge of the local area and what to do. Feeding the animals at 9am became a ritual every morning - chickens, horses, alpacas and goats all got their turn and the our 8 year old loved it. 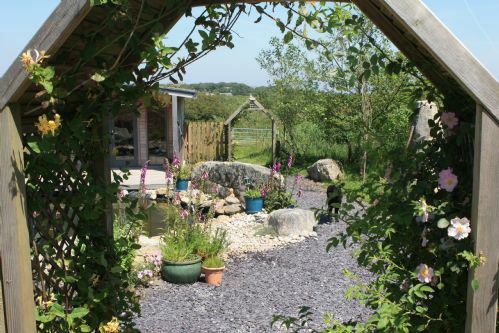 Little White Alice is a fabulous place to stay and a great base for visiting pretty much anywhere in Cornwall. Thank you Simon and Rosie. Charming setting and kids loved getting close to the animals. The ark was extremely well insulated and inside was very well appointed, specially everything you could want in the kitchen, books and dvds and a luxurious dog bed which became my son's bed. The central location is perfect as most of our destinations were only 20/30 min away, apart from furthest west, but still not that far. We so wished we would have been able to try the hot tub but the kids are too young to go in/be left alone. I was impressed by the green and nearly self-sufficient nature of the place, and also that it isn't 'in your face' eco trendyness - it just is that way. We had such a wonderful stay at Little White Alice. We got an amazing welcome from Simon and Rosie and the Eco Ark we stayed in was more spacious than we anticipated, with everything we needed inside. The best part of the experience, though, were the animals and the outside space. Our two girls just became feral from the moment we arrived. The spent all their time playing with Simon and Rosie’s dogs, Marley and Luna, on the climbing frame, feeding the animals (Shetland ponies, alpacas pigs, goats), going for walks, picking blackberries. Bliss. We also found the farm extremely eco-friendly. 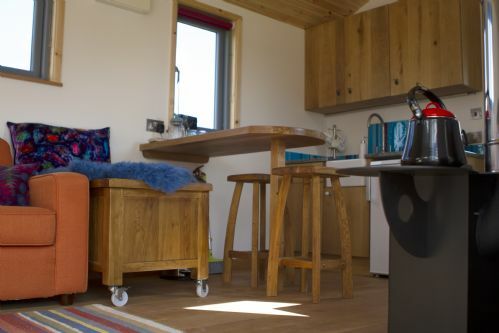 The accommodation was very well insulated and we were able to charge our electric car from the solar panels and small wind turbine (never heard it) on site. All in all a wonderful trip and we can’t wait to return. Everything was lovely about little white Alice. It was exactly as described and we had no complaints. Little White Alice was the perfect first holiday for me and my kids on our own. 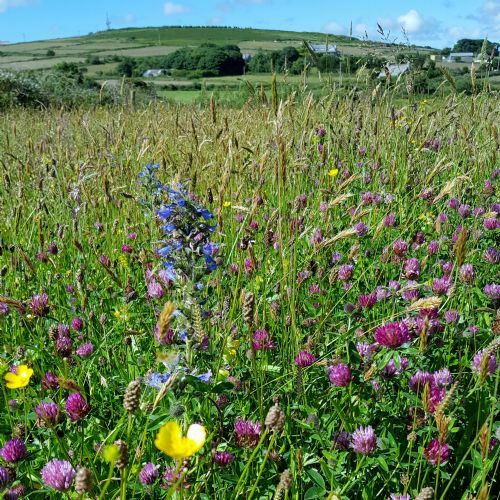 We felt safe, there was plenty to entertain us on site and within easy reach of most places in Cornwall. Rosie and Simon were really welcoming and encouraging with us all. The animal feeding started the day beautifully and craft session and hot tub were fabulous fun! The accommodation is small but perfectly formed for the three of us. Clean and cosy with a lovely welcome pack when we arrived. Bedding and towels were provided too. The kids genuinely said it was their best holiday ever! 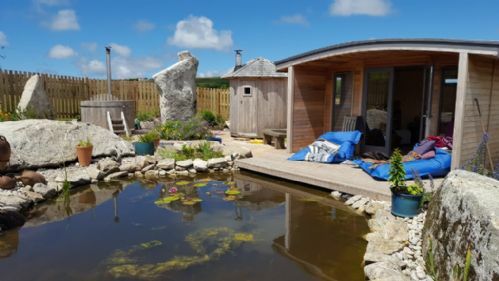 Just returned from a one week stay, and it is fantastic, Simon and Rosie very welcoming, location is great, 20 minutes from Falmouth, Kids loved the sleeping pod. 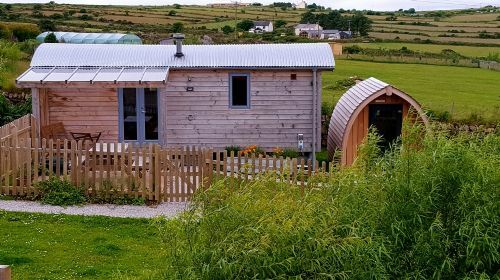 Little White Alice is a lovely place to stay and 'Uath', with it's adjoining 'pod' was a lot of fun for my daughter to play/adventure in. The option to help with animal feeding, as well as the other activities on offer (horse rides etc), really made the stay fun for the kids! 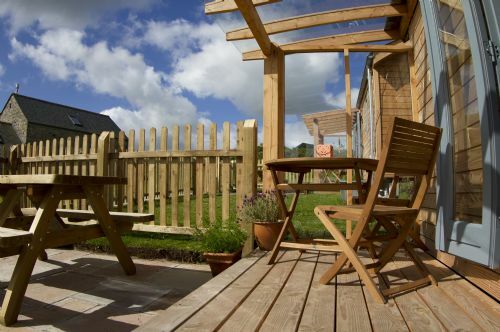 The location is also a fantastic 'base camp' for some great Cornish destinations. If in doubt, speak to the owners who were happy to offer some assistance/advice on this. Arriving and feeling excellent! From the beginning a very warming welcome from Simon with fresh bread, eggs and perfect answers to all my questions. Little white Alice has it all: Private Garden and BBQ, TV, videos, Wifi, washroom, a little wood stove with kindling and firewood free of charge, parking place, animal to feed (if you like), playing dogs, pony experience... And all that in a wonderland of nature. You wake up in the morning and feel as if you were in the garden Eden. Great thanks to Rosie who did not hesitate to put her work down and drive with me to the next pharmacy when my daughter had a minor injury. And greetings from my children who learned riding on shetland ponies from her. Tip: Ask Simon for his special recommendations. He explained me the best route for a marvellous long distance run around the nearby lake, the most beautiful trip to St. Ives and the way to a famous farm shop in the region. Little White Alice ist Cornwall at very his best. My kids had cried at the departure. Cosy, fabulous, awesome farm stay!!! We loved LWA and wanted to stay for ever! Eric the Alpaca, Sammy and Frankie the goats, Lunar and Marley the dogs were so friendly. 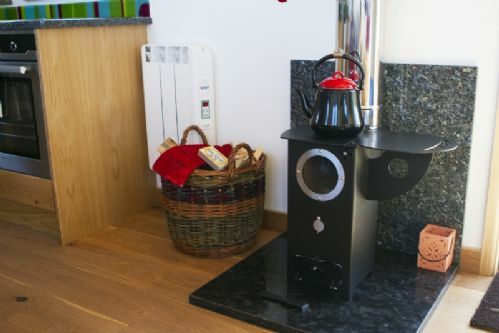 Rosie and Simon have created a very special place, in rugged countryside, UATH is a cosy stay for a family (two boys 8 and 11 - there is a cool separate pod for kids but ours loved the warmth of the log burner in the big cabin!). "The hot tub was awesome!" - Sammy aged 8. 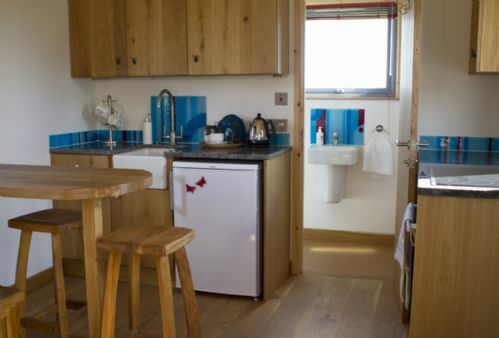 Everything was thought of, the cabins are beautifully made with all you would ever need. We must return, so much to discover. We made it to St Ives, Falmouth, Minack theatre, St Michael's Mount and Newquay. All within easy reach. Cannot recommend enough! What a beautiful place!! Rosie and Simon were the perfect hosts for our weeks stay. The children enjoyed feeding the animals every morning with them. We spent a night in the hot tub which was just perfect, stargazing whilst toasting marshmallows on the fire pit. With Many beautiful places to visit nearby, this was the perfect location for our family. 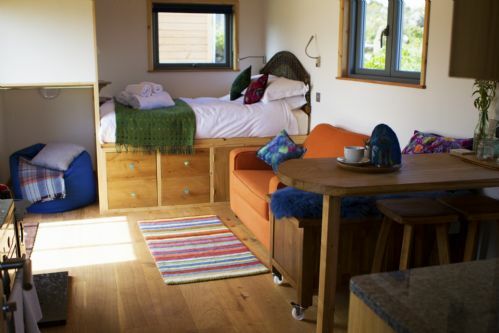 Our Eco ark was immaculate on arrival and very cosy, all the extra little touches were most welcomed. Would definitely return here in the future. It was an excellent week, too short. People are really nice , if you love to walk it is an excellent place but also for children with all the animals. We had a lovely stay in the Eco ark. Really comfy and clean. Felt very cosy and used the bbq on hot days and wood burner on the rainy ones. Sleep pod a bonus. Great collection of books and DVDs. Georgeous setting.Lots of animals to feed and play with. We will be back. We had a lovely week staying in your Uath Eco-Ark. 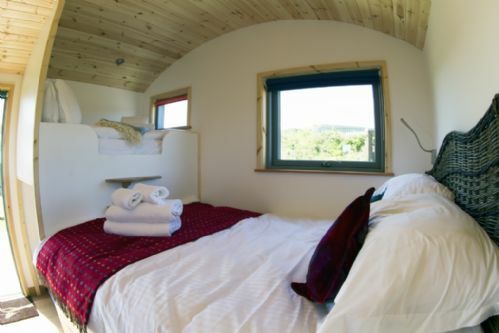 My 9 and 12 year olds stayed in the little 2 bed pod which is right next to Uath, and they loved it! It was lovely and warm, and all of the beds were really comfortable. The enclosed garden was a godsend with our two dogs (terriers - and they didn't manage to escape from the garden, which was pretty good going!). Everything was really nice and clean, we were provided with complimentary eggs (fresh! ), bread, butter and Little Alice Honey (which didn't last long - it was delicious!). My youngest helped to feed the animals, and fell in love with Luna and Marley. The owners were really helpful with recommending a place to eat (the Golden Lion) and how to get the train into St Ives (do this - it's so much easier than driving in. Parking is a nightmare!). A thoroughly wonderful holiday - we hope to come back soon!! So lucky to have found this little gem . Such a brilliant weekend break. The Ark is So well organised and planned well done. Have recommended it to friends and family. Beautiful setting and first class accomadation. Very disappointed not to find the natural pool, having read the many reviews, we all looked forward to a dip, given the beautiful weather. Very unfortunate response from the owner, when I enquired as to where it was, his reply was not what you would call friendly, I was told it was not here and was taken off the sight some time ago, a little more polite understanding would have been welcomed. I think he was irritated by my question. Not the best customer service, a shame as otherwise a great holiday. Little White Alice is a gem. A really wild and beautiful location with superb accommodation and most welcoming hosts. A week of fun and frolics with all the animals for our children. A treat for grown ups in the 'Wild Spa'. The wood burning sauna came into it's own! A really, lovely place to stay. 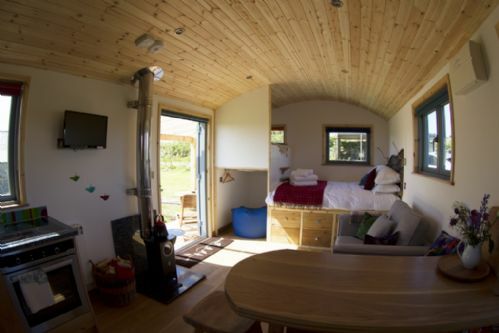 Uath was an amazingly warm little eco pod that fit a family of 5 (with the help of the pod) very well. 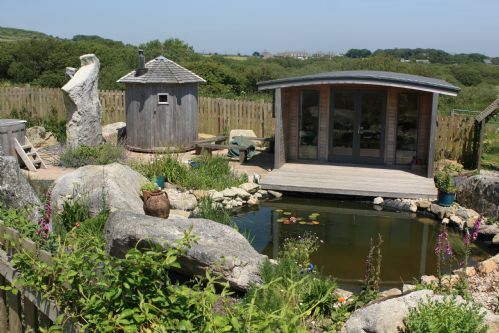 Really nice location, close to falmouth, the lizard, st ives and beyond. Would recommend.